In January, students from Chelsea and Camberwell exhibited work at the Cookhouse Gallery created during a residency at Bunkyo Gaukyin University, Japan (BGU). The project was a joint one between BA Interior and Spatial Design at Chelsea and BA Graphic Design at Camberwell. We caught up with Colin Priest and Tracey Waller, heads of the courses, to find out more about the project. 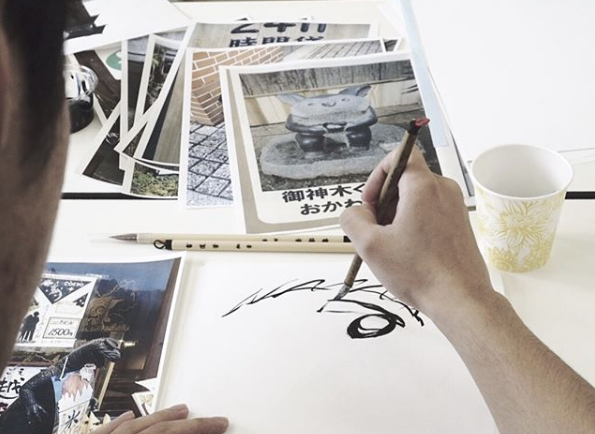 The Kawagoe Wayfinding project sounds exciting – can you describe it? Colin: After graduation in summer 2017, six of our students (three from each course) visited Japan for five weeks. They worked in collaboration with students from BGU to propose ideas for a new wayfinding system in the city of Kawagoe. Colin: BGU is a science and humanities university in Tokyo – so it’s not an art school at all. 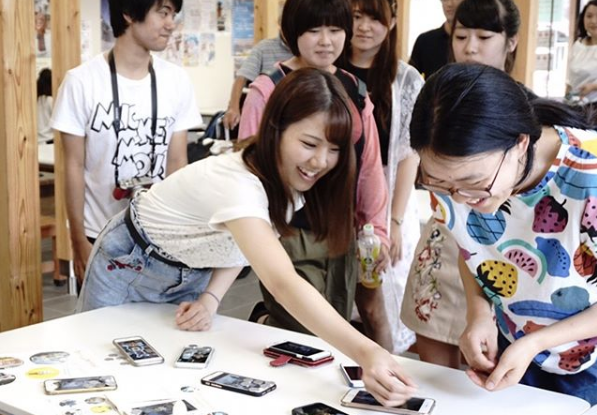 There’s a history of collaboration between Chelsea and BGU – in 2016 students of the MA Textile Design course visited them to collaborate on a research and practice project about Iwatsuki Doll Making, Kiryu textile, and Kimono production. Their project was really successful and, as a result, BGU invited us to work together on this project the following year. They asked for undergraduate students with a really cross-disciplinary approach, so Tracey went over to meet them and discuss ideas. Tracey: I went over in April 2017. The conversations that happened then were about designing some form of wayfinding system. Wayfinding is essentially a communication or information system to help the public understand a place better. Originally the idea was inspired by the 2020 Olympics, but it quickly evolved into something more embedded in the city and with a longer term view. I spent some time with the tutors in the school, meeting people from the different departments and getting a sense of what they were interested in. There was such a wealth of research there, and they brought a real in-depth view of the city to the project. How did you decide which students would be involved in the project? Colin: Tracey and I put a brief together for our students, which included an overview of what we were planning to do. We put a call out to our second and third years for expressions of interest. We knew there were only going to be six places – three from each course – so of course we were overwhelmed by the number of students applying! When we made the selections we chose students who had invested a lot of time researching the place they were going to be working in. Tracey: We also wanted to choose a team of people who could support each other and work together whilst they were in Japan. We wanted to make sure the students had different skillsets that they could bring to the project, and we partly selected the group based on that. It turned out that the students’ different viewpoints were really exciting and contributed towards the success of the residency in a big way. Was there a language barrier? How was it dealt with? Colin: Language was an important part of the original brief – in that the wayfinding system had to be accessible to everyone. It had to be non-linguistic. Tracey: Yes, overcoming the language barrier was embedded in the project from the start. Students from UAL ran workshops with students from BGU that had to go beyond language in terms of communicating. And they just did it! Through sign language and drawing, they found other ways to communicate, which was a great piece of research for the project itself. All the students were involved. There was a real sense that everyone was working together to design something, whether that be typeface, characters, or experiences. Colin: Our students led scavenger hunts, walks, and workshops about understanding visual culture. BGU students led workshops about environmental psychology, used virtual reality headsets, and taught sessions about sensors. The results of these workshops led to the design of the actual product: the wayfinding system. What were the outcomes of the project? What can we expect to see in the exhibition? Colin: there was a broad range of outcomes really. The students set up an Instagram account called After the Melody Ends which gives a visual account of the full five weeks they were there. They created a road map which highlighted pre-existing sculpture animals and used them as navigation tools. They also created seaside-style face-throughs outside important buildings. Tracey: There’s a playful, participatory element to the signage system which [was] carried over in the curation of the show. Colin: As part of the research, students conducted interviews with local makers, which they filmed, so the film [was also] part of the exhibition. Tracey: They went right into the communities of the various districts, spoke to lots of different people, who were all very engaged with the project. They gave their stories, their individual perspectives. So the outcomes of the project are very definitely a product of researched design, which inherently holds more value. The outcomes themselves are really interesting, but that journey they all went on involving the community in design was incredibly exciting. Colin: I think the exhibition [captured] that conversational process more than the final outcome [as] an exploratory show. 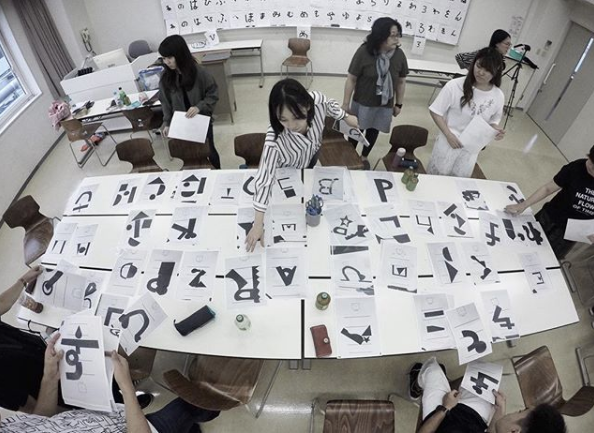 Process to make #japanesewords | Jack and Josh introduced a group of students to modular typography and proceeded to design kits of parts from which they could design both English and Japanese typefaces. 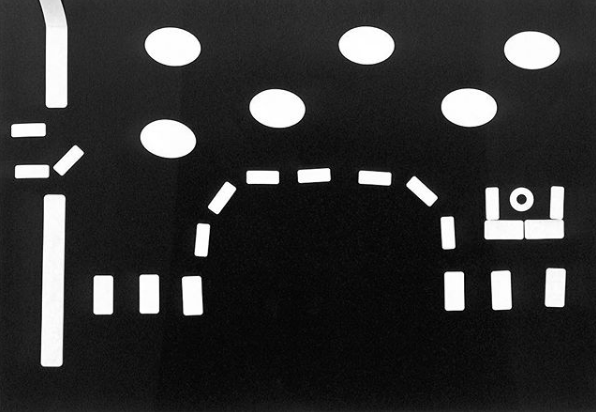 All images courtesy of participating students and from After the Melody Ends. Kawagoe Wayfinding Summer School was exhibited in the Cookhouse Gallery, Chelsea College of Arts 24 – 26 January 2018.